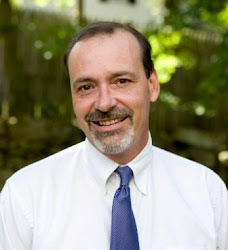 Sherborn Pastor: The Hot Mess that Is The News in 2019: What to Believe? The Hot Mess that Is The News in 2019: What to Believe? I was all set to write about it for my last column: the now infamous confrontation on the steps of the Lincoln Memorial between Kentucky high school boys, a Native American leader and a "religious" group called the Black Hebrew Israelites. To recall: all three groups were in Washington, D.C. to protest in one form or another. The high school kids were there on January 18th as a part of a "March for Life" anti-abortion rally. The Omaha Native American tribe elder, Nathan Phillips, was there to lift up the issue of Native American rights. The House of Israel Black Hebrew Israelites, labeled a hate group by the Anti-Defamation League and the Southern Poverty Law Center, was there to lift up their particular brand of "religious" bias. All three groups converged by accident in front of one of America's most potent symbols of liberty and reconciliation. How ironic. How sad. And what a brouhaha! So...what really happened? That depends: on who you listen to. Who you believe. What you perceive occurred as you watch videos of the clash, images posted on line and then viewed at one point, more than 2 million times in less than three hours. That's what happened and who is guilty, right? Well...maybe not. It's a little more nuanced and complicated. 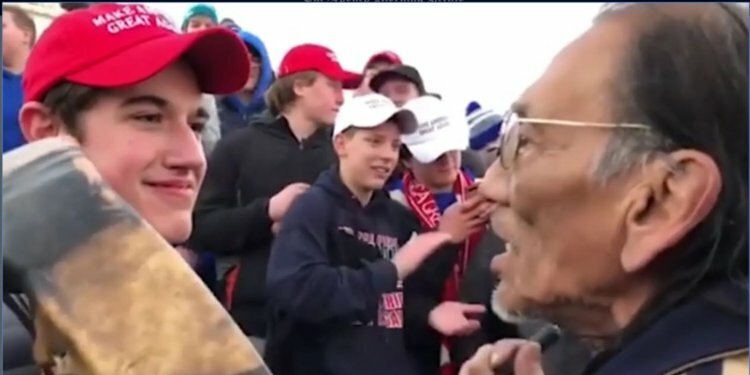 Phillips claims he heard them chanting "Build a wall" but then he back tracked from that story and said he waded into the crowd to protect the kids from the "Hebrew" group who apparently, for more than 45 minutes, were hurling insults at the boys. Calling them sodomites, school shooters, etc. And while the boys were not chanting about walls, many of them are seen on the video mockingly doing "tomahawk chops" with their hands as Phillips continues to bang on his drum. Phillips claimed to be a Vietnam Veteran. He was in the Marine Reserves but did not serve in Vietnam. Are there any conclusions we can draw from this hot mess? Any truths to name, as the story fades away, as our culture waits for the next confrontation or event to get all angry and self-righteous about? As we await a new pig pile to jump on: today's latest YouTube video or breathless CNN report or tirades on Twitter from the President on down. Because in the news climate we are living within, you must have an opinion and you must share it, tweet it, post it on Facebook, and let the world know what you believe immediately!! Even better, if the "news" makes people look bad you must condemn them in righteous rage. I'm reminded of this bit of wisdom offered by the author Edgar Allan Poe in an 1845 short story. "You are young yet, my friend,” replied my host, “but the time will arrive when you will learn to judge for yourself of what is going on in the world, without trusting to the gossip of others. Believe nothing you hear, and only one half that you see." I'm as guilty as the next one of getting all riled up in these frantic news days, when there is too much news from too many source and when the latest news rushes in and yells for our attention on all of our devices and then just as quickly departs for the next "big" story. These days, we take no time, we have no time to think. To reflect. To investigate for ourselves. To ponder. To wonder. To ask others, "What do you think happened?" To maybe even declare in the face of seemingly "true" news, "I'm not really sure what to believe or who to believe." And then to leave it at that. Or at least to give the story time enough to flesh out and become clearer before we draw any conclusions or make any hard and fast declarations about the "truth". That's my hope and prayer for the hothouse of current events that we all we call home in 2019. Let us pig pile less and be thoughtful more. Let us be suspicious of any hard and fast opinions and judgments and instead actually decide for ourselves. Better yet, let's turn off our phones, slam shut our laptops, click off our always on TVs and just breathe.